Good news today! I'm so happy to be giving away a spot in Becky Higgins' class, Project Real Life at Big Picture Classes! This is a four expert class and I know it's going to be amazing. Becky will be sharing her philosophy behind Project Life which is all about cultivating a better life with a practical approach to documenting the everyday. The class starts October 4th and lasts 12 weeks. The last day to register will be October 10. Come join Becky Higgins for a once-in-a-lifetime opportunity to spend some time with her during the last quarter of 2012. As Becky goes about preparing for the holidays, organizing around her home and documenting her family's story along the way, she'll be sharing ideas to inspire you, tips to motivate you, and real-life suggestions on how to cultivate the life you want. Whether you're a long-time Project Lifer or you're just now hearing about Project Life, you will love learning about the guilt-free philosophy behind this system of memory-keeping. While Becky will give you plenty to think about and do during the 12 weeks of this workshop, she firmly believes that there isn't a person that exists who "does it all" - and it should be the last thing we expect from ourselves. An exclusively-designed set of Project Life cards (3" x 4" and 4" x 6") that will not be available anywhere else! You have until this Thursday morning to enter by leaving a comment. I'll come back and update this post with the lucky person's name at that time. Good luck! **The winner is Lindsey Marie! Congrats to you! Please email me so I can tell you how to claim your prize. Oh I could not even say what it would mean to be able to join in this class! Thanks so much for the chance! This would be a great class! It would definitely help me get back on track with my PL. I only have like one or two weeks done for the PL 2012. Help! I would LOVE this class!! Thanks for the chance to win! Since I plan on starting projekt life next year this would be perfect!!! This class would be an incredible source of inspiration to finish out my 2012 project life!! I would be so honored and excited to take a class with Becky and get to live chat with her!! Dream come true!! Maybe this class would help motivate me to get with it. Thanks for a chance to win. I would LOVE to be able to take this class! Thank you for the chance to do it! Would love a chance to participate in this class. Thanks for the chance! Oh how I would love to win this class. I hope I get lucky this time! Here's hoping that you pick me, thanks for the chance Deb. I am in love with Project Life! Thank you for the opportunity to register to win! Thank you so much for a chance to win a spot in Becky's class. I love all things Becky Higgins so I am sure it will be wonderful! Thanks for a chance to win a seat in Becky's class! Please pick me! I love Becky and project life! I know I would learn a lot! Thank you so much for the chance! Such a great giveaway! Project Life has been an absolute blessing, and this sounds amazing! Thank you for the opportunity to win a spot in Project Real Life. Awesome giveaway, Deb! Thanks for the opportunity! This past year has been a tough one with medical challenges for my youngest. She and I would love to get back to scrapbooking and this would really help kick it off! I've bought some of the items, but having the class would give us a schedule to keep! Thanks for the giveaway! Crossing my fingers that I win! AAAaaahhh!!! I would LOVE this!!!! Thanks for the chance!!!! I would love to win this class! Looking for some inspiration and motivation. It would be wonderful to win a spot in Becky's class! This would be a fabulous class! I would love to win!!! Thanks for the chance! Thanks for the chance to win! I would so love to take this class! This class would be an amazing one to take!! Thank you for the chance to win it! This would really give me a 'kick in the pants' for my new Project Life addiction! I would love, love to take this class. Thanks for the chance to win. I would LOVE to win a spot in Becky's class! Thanks so much for the opportunity! I would love to with a spot in this class, thanks for the opportunity! I would so love to take this class. Thanks for the chance. I'd love a chance for this, thank you! It would be a Dream Come True for me if I won a space in this amazing class! I want to sign up SO badly, but there's no way. Thank you very much for the opportunity to try & win! I would SO love to win a spot in this class!! Thank you for the opportunity!! Becky's class looks so amazing. I have been re-evaluating my life on what is important and what isn't... I just know this class is exactly what I need right now. It just couldn't have come at a more perfect time! I would be so grateful for this opportunity. Thank you!!! OH MY GOSH! I'd love, love, love a spot in this class. Becky is so inspiring, I am in awe of her. Thanks so much for the chance to win! I would love to win this! I have such a bunch of pictures that need to be done! This class is just what I need! Thanks for the opportunity to try and win! I'd love to win a spot in this class, thanks for the opportunity! I would LOVE to win a spot in this Becky Higgins class. Thank you so much for a chance to win. Oh! I so would love a spot in this class!!!! I'd love to win this. Love Project Life and the philsophy behind it.Thanks so much. This class looks AMAZING! Thanks so much for the opportunity to win a seat. I would love to take this class. Project Life has become my main form of scrapbooking, and I couldn't be happier about that choice! I would LOVE to win a spot in this class! Thank you so much for the chance! Such an AMAZING oppertunity!! Would be thrilled to win a seat! Thank you so much for the chance. I am really hoping to be able to take this class - seems like the perfect way to round out my very first PL album this year! Thanks so much for the opportunity! I just retired, so finally have time to really scrapbook each day. Would love to win this class. Thanks for the opportunity! Guilt-free philosophy to scrapbooking?!?! Wow... I would LOVE to win a spot in this class. Thanks for the chance! Thank you for the opportunity to win a seat in this awesome class! I would absolutely love to win a seat in this class. Thank you very much for such a fabulous giveaway! Would love a seat in this class; love project life sooooo much! Pick me. Pick me! Everyone in my home is in school but me! I would love to feed my brain. I would LOVE a seat in this class, thanks for the chance! This class sounds great - I'd love the chance to hang out with Becky Higgins for 12 weeks! Oh, I love Project Life and any kind of personal development opportunity. I'd love to win! Thank you for the giveaway!! I would love love love a chance to win a seat in Becky's class!! Fantastic give away, thanks! I would love the chance to win a spot in this class!! I love Becky Higgins and her products!!!! eeeeee! I would love to win. I'm trying to save up money for it, but to win would be fantastic! Thank you! Thanks for the chance to get to take Becky's class! Part of my project life this year , is to have a spot in Becky's class! I would love to win a spot in Becky's class. Thanks for the chance. 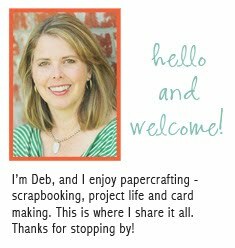 I just love Becky Higgins and I want to take this class so bad, just recently found project life and it really saved my "scrapbooking Life" I had given up on the idea that it was possible to scrapbook with 3 children under the age of 4 and a busy life. I would love to hear all her advice in this class. Yay! Thanks for a chance to win! I would be so grateful to attend this! I really need this. I just started PL and I need lots of help. Would love the chance to win this! Thanks for the chance! Would love to win a seat in this class. I would love to win this giveaway. Thanks so much!!! I would so enJOY this class and would love to win a seat! Would love a chance to win! Great giveaway! Oh oh pick me pick me!! I love Becky Higgins and project life and would so love to have a place in this class!! Thank you for the chance Deb!! Oh my goodness I would love to win a spot in her class. Thank you so much for the opportunity to win! I'm excited about Becky's class! Thanks for the chance to win!! I really, really, really want to take this class!!! Just starting out with Project Life and am excited to hear about this class. Would love to win a seat. Thanks for the chance to win! WOW Thanks for the chance, i'd love it!! I'd LOVE to be able to join this class for free!!! Thank you for the opportunity to win a spot in this class. I have just discovered Project Life & would love to take this class. After reading about it I have realised there are so many things I am not documenting in mine & my children's life. Thanks for the chance to win!! What an amazing class! Thanks for a chance to win! What a awesome give away, can't wait to see if I win. Thanks for the chance to win! I would love to take this class! What an awesome giveaway! The class sounds like a lot of fun and exactly what I need to not be scared of my own Project Life! What a wonderful way to end one year and be ready to begin another! Thanks for the chance to win! I would be so excited to win this! Becky is amazing and I am a huge fan of everything she does. Project Life has changed my life, thank you so much for the chance to win! Oooooo!!!! I just ordered my first core kit! This class would be perfect! I would love to take this class and learn some great new ideas. I have been wanting to take this class! I would love some new ideas! Thank you for the opportunity. What a great way to make a dream come true. Oh man, I would totally love to win a chance to this class! Thanks for the opportunity, Deb! Thanks for this opportunity! This class looks like it's going to be amazing and I would love to win a spot. Thanks for the opportunity! What a great giveaway! Thank you for sharing, Deb! I would love to win this! Thanks for the chance Deb! So nice of you to do a giveaway! Thanks! I would love to win. New to project life and I have a lot to learn. It would be awesome to have Becky as a teacher. All these giveaways are awesome - - Project life retires those "picture" memories that have been stored away for years. I'd love to win a spot in this class. Becky is so inspiring in many ways, so I'd love to learn more about how she juggles everything in her life! Thanks for the chance to win! I'm hoping to take her class! Have fallen in love with the idea of Project Life and simplifying scrapbooking and actually completing a project! Thank you for the opportunity! Project Lifes amazing. this would be an awesome opportunity. I would love to win this class, after nearly a whole year of dealing with a sick mother and months of hospital I would treasure being able to focus on a more productive and purposeful life for my children and husband over the next year. I would LOVE to win a spot in the class, I love Project Life and everything Becky is about! Thanks so much for the chance to win !!!! Money is too tight for me to register for this class which I would love to take, Project Life has really made a difference in the way I scrap & document our everyday life as a family and I'd enjoy very much taking it to the next level. This class sounds amazing! Would love to win it!! I would LOVE the opportunity to take Becky Higgins class! Ohhh, I'd be tickled pink to win a spot in Becky's class! 12 weeks of Becky - that is the best Christmas gift for me! I would really love to win this!!! Thanks for the chance! This would be a wonderful birthday gift; one day late!! I love Project Life and it's simplicity!! I would LOVE to be able to take this class! I'm just starting Project Life, and I am really excited about it! I've never done a class like this before. I think it would be awesome! Sounds like fun! I'd like to join in. Thanks for the chance and I enjoyed taking a peek at your project life pages. This class sounds so fantastic! Thanks for the chance to win! I would love to join this class. I'm new to project life and think this would be perfect. Thanks for offering it! Would love to win a spot in this class thanks for the chance to win. I would love to have the chance to take beckys clas...especially after a 4 year break from scrapping!!! Thank you for a chance to win a seat in Becky's class! Thank you for the chance! I love PL and her class sounds so motivating and inspirational. I'd love to win a spot in her class! Thanks for the giveaway! This is such a beautiful opportunity! This would be such a thrill to win a spot. Thank you for the chance to win a great class. Thanks Deb, I love Becky and Project Life and would be ecstatic to win a spot in her class. I would love to win this class. Looking for some inspiration and motivation. Thanks for the opportunity. So sweet you are giving a class away - can't wait for the adventure to begin! OOOO I'd love to win this. Thanks for the chance. Thanks for the opportunity! I love your Project Life style. Fun to see your son wearing an Iowa Cubs t-shirt! Would be so great to win a seat in this class - thank you for the opportunity! I'm so excited to take this class ... and winning a spot would be even better!!! Thanks for the chance! Would love to be inspired by Becky's class! Thanks for this opportunity! What an awesome giveaway! Would LOVE to join this class. Thanks for the chance to win! would love to join her class! Oh to win this class! Thanks so much for the chance to win! I'd love to attend Becky's class!! Hi I would love to win a seat in Becky's class Thanks so much for the chance!! oh my, would love to take this class! thanks so much for the chance to win!! What a wonderful giveaway! Thank you for the chance!! Fingers crossed. Thanks for the giveaway! Desperately trying to find the money for this class, I think it's just the ticket to get me back into scrapping! I would love to win a seat in Becky's class!! Thanks for the opportunity! What an opportunity! I hope to win a seat in this class, whom best to learn from but Becky herself. Thanks for the chance to win! I know I am amazingly busy with working full-time, going to school full-time and having a husband in the Marine Corps BUT this class would be a wonderful resource to help me get back on the Project Life bandwagon! I've been slacking these last few months! This will be a GREAT opportunity and it's wonderful that it is available to keep looking back on. Loving this opportunity to win a spot in this cool class! I'd love to win a seat in her class!!! Thanks for the chance! This sounds like a great class! I'd love to win. Wow. Thanks for the chance to win a spot in this class. I would love to win because I really want to start with project life in 2013! I would love to be able to take this class. Thank you for the chance!! How kind of you to offer this! I would love to win & get some fresh new ideas for my Project Life!!! I would love, love, love to win, thank you so much for the opportunity! I've entered countless blog giveaways and have yet to win one, so this will be the lucky one, right?!!! LOL! :) Sounds like an amazing class!!!! This class looks awesome! Thanks for the chance to win!